AROPAX is indicated for treatment of major depression and for the prevention of relapse of depressive symptoms; Obsessive Compulsive Disorder and for the prevention of relapse of OCD; Panic Disorder and for the prevention of relapse of Panic Disorder; Social Anxiety Disorder/Social Phobia; Generalised Anxiety Disorder; and Posttraumatic Stress Disorder. 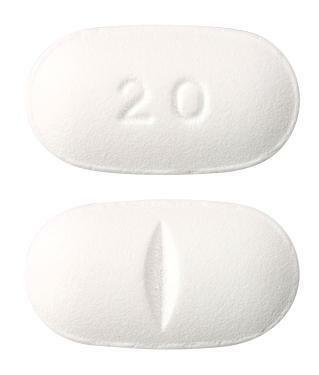 White film coated oval shaped biconvex tablet debossed with "20" on one side and a break bar on the other. Blue film coated oval shaped biconvex tablet engraved with "AROPAX 30" on one side and a break bar on the other.